Horizontal Blinds have been a window treatment standard for over 40 years. They are an economical and proven choice for commercial spaces. 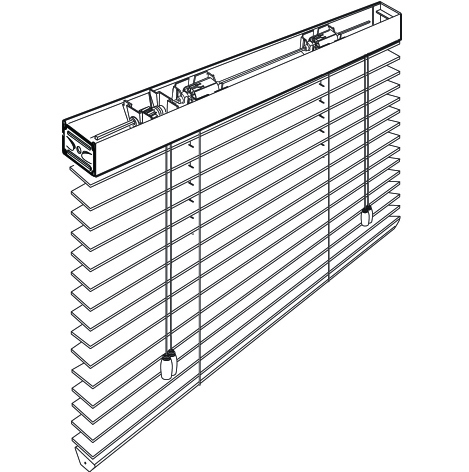 Horizontal blinds feature slats that can be rotated 180° for complete light control and can be lifted up entirely for clear outside views. Depending on job site applications and specifications, our horizontal blinds can be made from aluminum, PVC, or real wood. Elite Horizontal blinds are available in a wide variety of colours, textures, and materials. Please contact us for samples & more information.